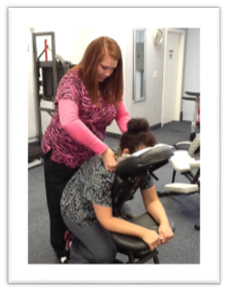 At Lakewood Chiropractic P.C. we are proud to provide a state-of the-art chiropractic facility, caring professionals and a wide variety of individualized treatment plans for the highest quality chiropractic care available in the Kansas City metro area. Whether you suffer from persistent headaches, chronic back pain/joint pain, sciatica, injury from a auto accident, fibromyalgia, bulging or herniated discs, or just seeking a healthier lifestyle, at Lakewood Chiropractic we will access your health needs, recommend a customized treatment plan based upon your individual needs and health conditions, and make your chiropractic treatment experience an enjoyable one. As chiropractic professionals with over 28 years of clinical experience, we understand that although our patients may be diagnosed with the same or similar conditions, each patient will respond very differently to treatments. That is why the doctors of Lakewood Chiropractic offer a free spinal exam and consultation on your first visit and use it to tailor an action plan specific to your needs, goals and unique medical and physical conditions. Call us at 816-373-3373 to schedule your free exam today, or request an appointment online. 24-Hour Emergency Chiropractic Service Is Available. After hours, call our office at 816-373-3373 and you will be directed to our 24-Hour Emergency Phone Number. If you would like to make an appointment, please contact our office by phone at 816-373-3373, email us using our contact form below, live chat with us during office hours, or schedule now. At Lakewood Chiropractic, we work with a wide variety of health insurance companies, and we will file all insurance forms for you with your health insurance providers. We will do everything we can to help you afford the treatment you need and want. Forms of payment accepted by the office are check, cash, or any major credit card, as well as interest-free billing. NO INSURANCE, NO PROBLEM - We can set up a plan that allows you to have the health care you need, when you need it....and pay for that plan in convenient, affordable monthly payments. If you are unable to keep an appointment, we ask that you kindly provide us with at least 24 hours notice. We ask for this advance notice so that we can offer this appointment to another patient. Thank you for your consideration.